i last shaved on june 19th. the next day, lisa went in for surgery. everything seemed smooth and after she came home, the kids and i took a mini-vacation to visit aaron while lisa recouped at her parents’ house. right after we got home, i drove my daughter to the airport late at night. one week had passed and there was no time to shave. the next day we woke up late and had to rush to a follow up appointment. i didn’t shave or eat breakfast, lisa didn’t even get a shower. the appointment took an unexpected turn and she ended up being admitted to the hospital again for a blood clot caused by the surgery. again, my focus was on things other than grooming and i began to wonder if people were noticing my peach-fuzz scruff. she came home from the hospital on july 1st. after one day at home, she started gushing blood, and we rushed her to the emergency room. after dealing with an incompetent er doc for many hours, she was transferred and admitted to our hospital, returning to the very same room in which she has recouped post-op. on july 4th we watched the fireworks looking sideways out of the window in the hallway of the hospital. i hadn’t shaved in two weeks and because my beard only grows from the lower parts of my face/neck, it was looking a little gross. on july 5th, both lisa and our daughter came home. 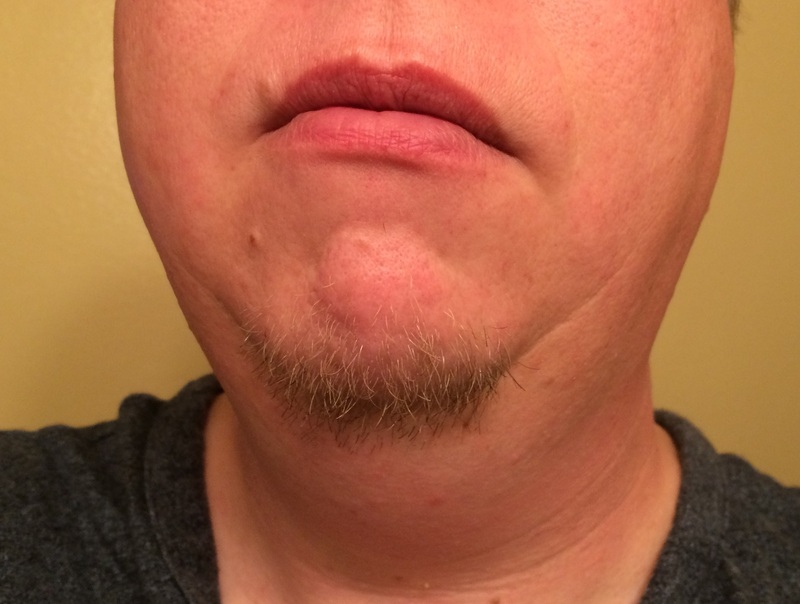 i shaved the sides of my face and neck, but decided to keep the goatee, vowing not to shave it until lisa was fully restored to health. on july 9th she needed her blood drawn and due to a weird paperwork mixup, she needed to return to the hospital to have it done. we couldn’t even go a week without seeing this place! lisa went to see her primary care doc on july 11th to catch him up on what’s been going on. then on july 13th, she had another surgery follow up. once again, she was sent to the er! i couldn’t even bring myself to tell anyone because i was so devastated. thank God, the potential new blood clot ended up being a bruise. she left the er in a couple hours without being admitted. today is july 19th, one month after shaving last. tomorrow is another post-surgery follow up and it will have been seven days without seeing a medical professional, matching her previous record immediately post-op. if she can manage to stay out of the hospital, that will be a first. i see these both as potential milestones indicating the first trust-worthy steps of recovery.